Ms. Rosana Schaack’s efforts to transform lives began during one of the darkest periods in Liberian history, the country’s civil war, which claimed more than 150,000 lives and created some 850,000 refugees. Having witnessed the devastating effects of the civil war on her people, she felt there was a tremendous need to rehabilitate and regenerate many of the youth that were forced to become child soldiers during the 14-year war. Ms. Schaack came to the University of Minnesota’s Humphrey Institute of Public Affairs as a Humphrey Fellow in 2008. During her fellowship year, she focused on human resource management and child protection policy, building on her commitment to human rights advocacy. She worked with local initiatives focused on gender-based violence prevention and child protection procedures and practices in Minneapolis. She collaborated with University faculty and students and shared her knowledge and expertise on issues such as child soldiers, public health and war, and children in post-conflict situations. Her internship at the Hennepin County Human Services and Public Health Department proved to be a beneficial relationship for her and Hennepin County. She shared her experience of rehabilitation of former child soldiers during the disarmament, demobilization, rehabilitation, and reintegration process. Before coming to the Humphrey Institute Ms. Schaack founded THINK INC. (Touching Humanity In Need of Kindness), a non-governmental organization whose mission is to demonstrate kindness to the poorest of the poor through programs that promote self-empowerment. Through THINK INC. Ms. Schaack developed the Rehabilitation and Reintegration Homes for Ex-Female Combatants, the Early Childhood Care and Development Program, the Educational Enhancement Program, and the Sexual Exploitation and Gender-Based Violence Program. After her return to Liberia she has continued her work with THINK INC and also works with Liberia’s Ministries of Gender and Development, and Health and Social Welfare, and Justice, through the Women and Child Protection Section of the Liberia National Police and the Sexual Gender Based Violence Crime Unit. Her work in Liberia has benefited greatly from her time at the University. In naming Ms. Rosana Schaack as a recipient of the Distinguished Leadership Award for Internationals, the selection committee cited her role as a public servant, her work to empower the poorest of the poor, and her mission to bring hope to those who need it most. She has made many invaluable contributions to Liberians as a leader, service provider and mentor. She has been a passionate voice for justice for the young women and children of emerging Liberia. 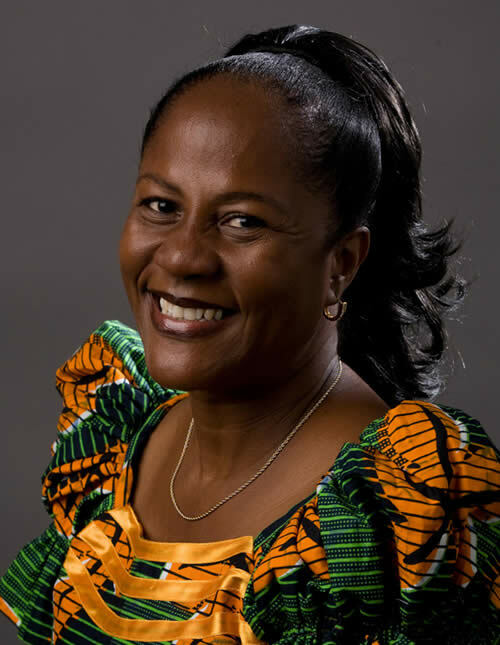 She has dedicated her future to fight against gender-based violence and is held in the highest regard in her community and in civil society networks in Liberia and abroad.